We love observing every city we visit from a panoramic view: Coit Tower in San Francisco, California; Space Needle in Seattle, Washington; Willis Tower in Chicago, Illinois; CN Tower in Toronto, Canada; Plaça d’Espanya in Barcelona, Spain; and our favorite The Great Barrier Reef in Cairns, Australia (posts coming soon). Our list is quite extensive and it doesn’t stop there. Naturally, in this post, we’re also talking about the Tokyo Tower, in Tokyo, Japan. These views offer a perspective of the area like no other and a vantage point for where you’ve been and what you’ve experienced and where you want to go and what you want to experience (depending on what point you’re at in the trip). 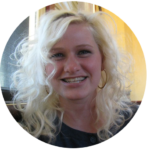 When you travel as much as we do it only makes sense to take advantage of opportunities to save money. Especially with kids. Money saved means money you can spend on your next adventure. That is a bucket list worthy goal. 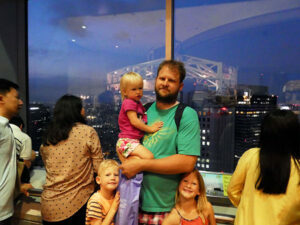 We definitely wanted to experience the Tokyo Tower while we were in Japan. Tokyo is a sprawling city, the most populated city in the world in fact, and I was eager to see all that combustion in action all together. We did everything else in Tokyo, how could we pass this up? The more we kept reading about the dynamics of it, the more we kept seeing a recurring theme. 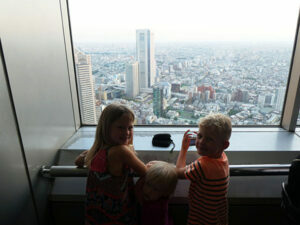 We discovered we could see the same exact view from Tokyo Tower at the Tokyo Metropolitan Building – and for free. Plus, it’s 187 feet higher than the Tokyo Tower. 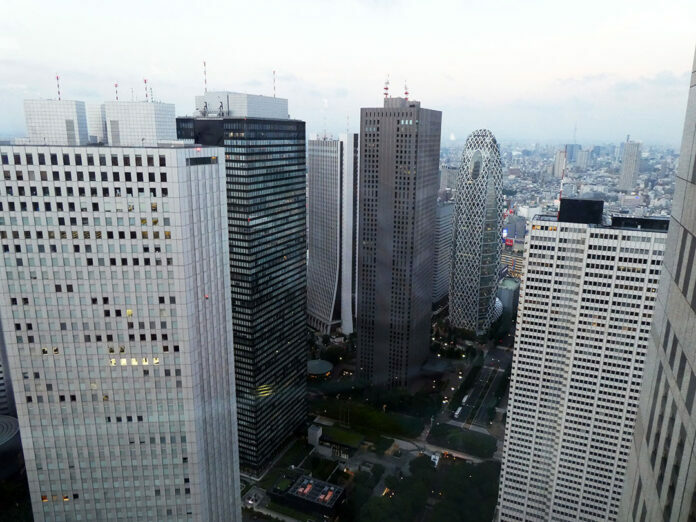 The Tokyo Metropolitan Building is just a short walk from the Kit Kat Chocolatory. If you plan it right you can pass through Piss Alley on your way there, a notorious location where you can get really authentic Japanese food such as still beating frog hearts, and pig testicles. From there head through the Yodobashi Camera District, low rise, ground level buildings full of electronics, lights, sounds and more to stimulate your senses. It’s in a upscale part of town near the Hilton and Hyatt Hotel high rises, and the Denny’s. If you take the JR train you’re going to want to make your way to the Tochomae Station. 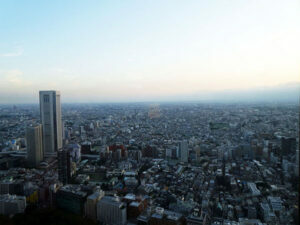 The Tokyo Metropolitan Building has 2 towers, the North Tower and the South Tower. We went up the North Tower, but I don’t remember being able to choose one or the other. When you arrive to the building you’ll find signs in the underground directing you where to go. We waited in a short line to go through security, and in all it took approximately 20 minutes to get through the line and get to the elevator. The elevator takes you straight up to the 45th floor observatory with no stops along the way, in under a minute. That’s one floor per second. We planned our visit towards sundown so we could watch all the city lights illuminate the city from above, and we stayed about two hours. There are two small open air gift shops to peruse in addition to the 360° views, though one corner of the floor is blocked off for restaurant goers. From this location you can look down on Tokyo Tower, towering above it nearly 200 additional feet, the Mode Gakuen Cocoon Tower, Shinjuku Chuo Park, dozens of skyscrapers and the sprawling city that reaches all the way to the horizon in every direction. ► For Kids: The gift shops here are filled with tons of fun toys not just to buy, but that are open and welcome for children to play with! Our children weren’t nearly as interested in the views as we were, but they had a blast playing with all the toys. The gift shop here was adorable. We thought it would be so easy to track down unique, cutesy Japanese merchandise, but it was surprisingly hard. This was one of the few places we found to have a lot of great items, for decent prices. This is where we first found Baby Eclair’s Konichiwa Kitty and regretted not buying it (we found it again at Kiddyland, thank goodness!). We also found some excellent magnets for our growing collection, family packs of decorated reusable chopsticks, and some Nintendo merchandise for Gabriel. ► Nap-Time Version: You can’t beat free, and this location offers something great for both parents and kids. Lines are short, it’s not crowded, and there is lots of places to breathe once you reach the observatory floor. What do you think? 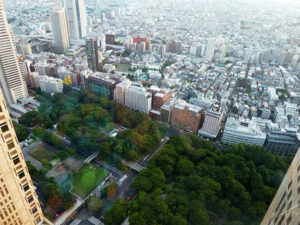 Do you prefer Tokyo Tower, or Tokyo Metropolitan Building? Check out the rest of our adventures in Tokyo!